Walt Disney’s 1965 announcement of his “Florida Project” put the small city best known for its prominence in the citrus industry on the map. Needless to say since the grand opening in 1971, Disney World has been wildly successful - spawning three more Disney Theme Parks, two Disney water parks, numerous resorts and restaurants and fueling the explosive growth of the city of Orlando over the past forty years. It wasn’t long before other attractions flocked to the city to take advantage of the tremendous annual tourist traffic. Universal Studios is practically across the street from SeaWorld and around these two titans arose even more entertainment options! Orlando truly has something for everyone. Magic Kingdom: The perfect park for families looking to experience the magic of Walt Disney’s grand vision. Brush elbows with your favourite characters in five intricately themed areas of the park (Fantasyland, Tomorrowland, Frontierland, Adventureland, and Liberty Square). EPCOT: The World Showcase is the premier destination for international food and drinks from eleven different nation-inspired pavilions all wrapped around the man-made World Showcase Lagoon, which hosts a spectacular nighttime laser light show, IllumiNations. Hollywood Studios: Whether you're looking to be scared silly by the free fall elevator of The Twilight Zone Tower of Terror or to rock out to an Aerosmith soundtrack on the Rockin’ Roller Coaster, Hollywood studios is the spot for pop culture themed thrills for all ages. Animal Kingdom: The wildlife buff in your family will be inspired by up close and educational encounters with exotic animals on hosted safaris. True believers will insist on riding the Everest roller coaster countless times in hopes of an elusive Yeti sighting. Typhoon Lagoon and Blizzard Beach: Disney’s take on the great American water park experience, these are the top two most visited water parks in the whole world! Universal Studios: Experience the movies on rides based on The Simpsons, Despicable Me, Transformers, and Men In Black. Adrenaline junkies won’t be able to pass up the 90-degree drop of the Rip Ride Rocket roller coaster. Islands of Adventure: Comic Book nerds and Hogwarts Alumni alike won’t want to miss this thrilling park. Whether riding through a gamma radiation experiment gone awry on The Hulk roller coaster or experiencing the magic of The Wizarding World of Harry Potter, Islands of Adventure is a mecca for super-fans. SeaWorld: Between rides on the Kraken Unleashed:Virtual Reality Experience - Florida's only virtual reality rollercoaster and Manta coasters, visitors can enjoy the majesty of ocean life and learn about conservation at SeaWorld’s animal-loaded performances. Aquatica: SeaWorld’s newest water park brings you up close and personal with sea life on slides that pass through animal habitats. Discovery Cove: Head on over to SeaWorld’s all-inclusive day resort where guests can dive into the water for hands-on interactions with dolphins and other ocean animals and birds. Legoland: Snap pictures with enormous structures made entirely of those famous little plastic bricks and enjoy more than 50 rides, shows, and attractions that provide fun for the whole family at this new park just outside of Orlando. International Drive: It’s a mystery how so many great options for restaurants, shopping, and entertainment can be housed on just one stretch of road! 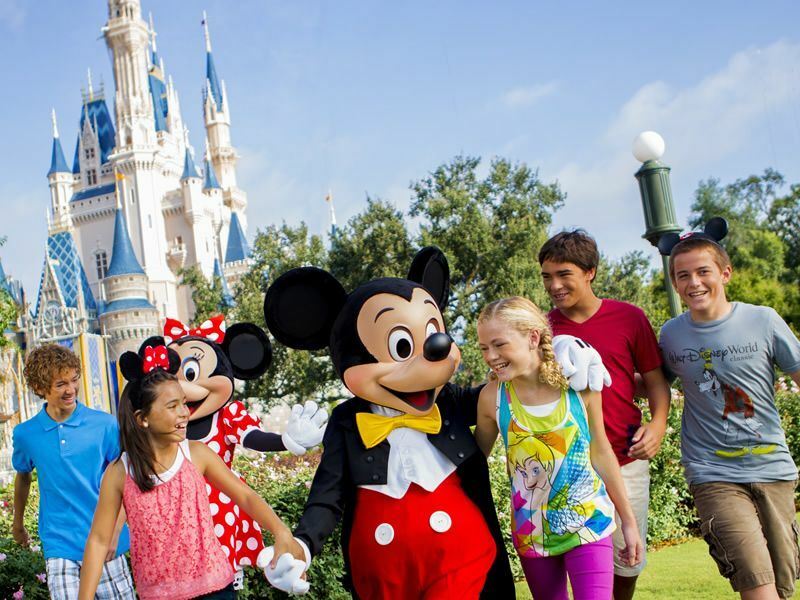 American Sky provides a variety of villa and resort accommodations nearby in the Kissimmee and Championsgate areas as well as Lake Buena Vista and Walt Disney World itself. Also available are several accommodations just east of Disney World on International Drive, a stretch of tourist resorts and attractions including Universal Studios and SeaWorld. Further reading: From the sprawling waterpark Wet 'n Wild to the famed attractions of Walt Disney's Magic Kingdom, we explore the top 10 theme parks in Orlando. Article written by Brantley Newton.